Historically, general aviation has been a fragmented industry. There is a substantial challenge to locate a reputable flight school or a small aircraft charter, especially while travelling overseas. Aircraft owners strive to unlock value and get connected to prospective renters. Private pilots look for flight sharing arrangements or time building to maintain their licenses up-to-date. To bridge this information gap, and make information available in unified and accessible form, Aeron has been building a decentralized, global small aircraft and flight school database and an online portal. Additionally, each aircraft owner has to keep maintenance logs for the airframe and engines, as well as pilots have to maintain flight logs to record their progressive experience. Till date, these logs are based on obsolete processes and mainly exist in paper form with manual signatures and attestation stamps. Imagine frustration of an aircraft owner, once the paper records are misplaced. It may be costly or impossible to restore such records and aircraft airworthiness can be jeopardized. In extreme cases, mere loss of records can lead to an aircraft being grounded indefinitely. A private pilot has to carry and present a heavy logbook folder, or lose an official record of flying hours. National aviation authorities have no universal mechanism to control integrity and authenticity of such logs electronically. There are no international standards or comprehensive technology for electronic logging. Each country maintains its own log book formats and establishes national rules for processing and validation of the logs. The legacy system is not equipped to handle the ever-increasing number and variety of small aircraft and licensed private pilots operating worldwide. This leads to a less than optimal experience for many people involved. Aeron has a solution to this logging conundrum based on blockchain technology. It will enable an online system relying on Aeron Register, built on Ethereum blockchain to track aircraft and pilot log records, as well as ARN, a utility token to enable the development of a thriving, self-sustaining ecosystem around the database and token holders. True “airline in a pocket” featuring integrity, reliability and easy validation. We believe that aviation safety is closely related to record integrity. Once the log records are stored in blockchain, available for public audit and can’t be forged, both authorities and passengers can be confident that a pilot actually has the experience claimed. Taking this a step further, the same system can be applied to aircraft maintenance records and tracking of spare parts, to confirm that spare parts are authentic, maintenance has been performed according to standards and there are no shortcuts. The system described above could be supported by smart contracts that contain various log records, as well as execute rental deeds or charters for the aircraft, or cost sharing agreements between private pilots and their passengers; combined with a sleek user interface to allow for engagement with the blockchain, and a defined protocol to ensure transactions occur in compliance with local regulations. Aeron (ARN) utility token would be required for write access to the Aeron Register and other on-chain events. Aeron token would also have a real-world application, as it could be envisaged as a mean of payment for small aircraft charters or promotional leisure flights, with aircraft owners having signed up for partnership arrangements with Aeron. Aeron will work with national aviation authorities and international aviation agencies including EASA and FAA, to promote acceptance of the electronic log records based on blockchain, to demonstrate integrity, reliability and transparency of record keeping. A smart phone application will ultimately replace obsolete paper records and would gain a global acceptance, enabling a single point of reference for licensed private pilots, aircraft owners and operators, aviation enthusiasts and general public interested in aircraft charters, leisure flights and pilot training. While we keep building the global small aircraft and flight school database, the scope of our current prototype of logging application should be narrowed to prioritize for the fast adoption in one of our first markets in Europe. It is complied with the existing legal framework and will further refer to the legacy flows relative to logging of data. Under the Aeron target “airline in a pocket” model, every single step from the initial aircraft and pilot registration, through the signing of maintenance and flight logs, along with actions like small aircraft rentals or charters, would be recorded on blockchain and executed with smart contracts. However, we recognize the significant complexity of blockchain technology and are building a multi-stage Aeron Register solution to be phased in over time. The Aeron team works actively on several fronts to ensure that we are building the correct solution that can solve the problems of stakeholders, while also complying with all regulations. Ultimately, we would like to extend our solution to contribute to flight safety, by recording the aircraft maintenance events and tracking the spare parts. This requires close cooperation with maintenance organizations and spare parts manufacturers worldwide, turning the Aeron Register into a reference for verifying parts authenticity. Aeron has a simple and scalable business model. When any transaction which involves payment between counterparts is concluded (as example an aircraft charter or a leisure flight booking), Aeron takes a small percentage (starting from 2% and averaging ~5%) of the total consideration payable by the user. The payments are initially processed by traditional payment system on the online portal, in fiat, and cryptocurrencies will be added as a mean of payment for the jurisdictions where possible. Payment would also be made possible with Aeron tokens, introduced in this document. For Aeron Register write access with signing of log records, Aeron will charge a small transactional fee. 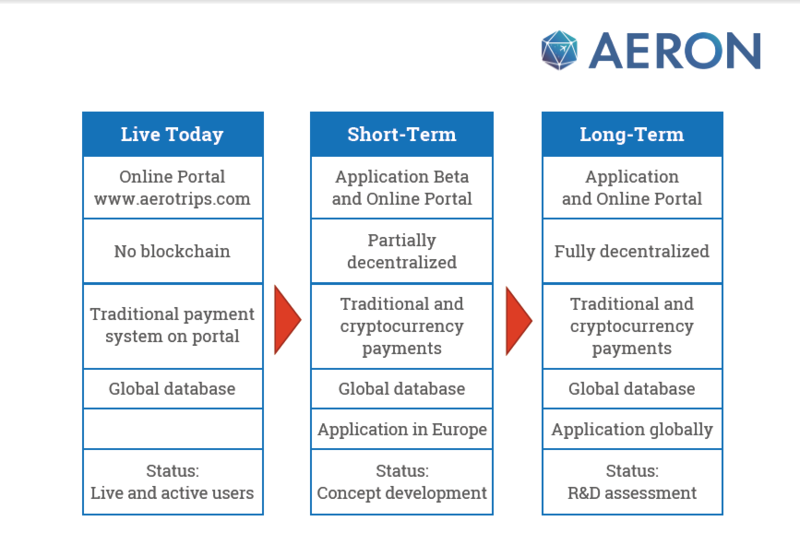 development and marketing of the Aeron project with associated distributed database, online portal and applications, as described in this document. Because Aeron is built on the ERC20 token standard, it allows for simple integration into users’ wallets and is freely tradeable via direct transfers or via smart contracts. It is possible that Aeron token could also be added to cryptocurrency exchanges. 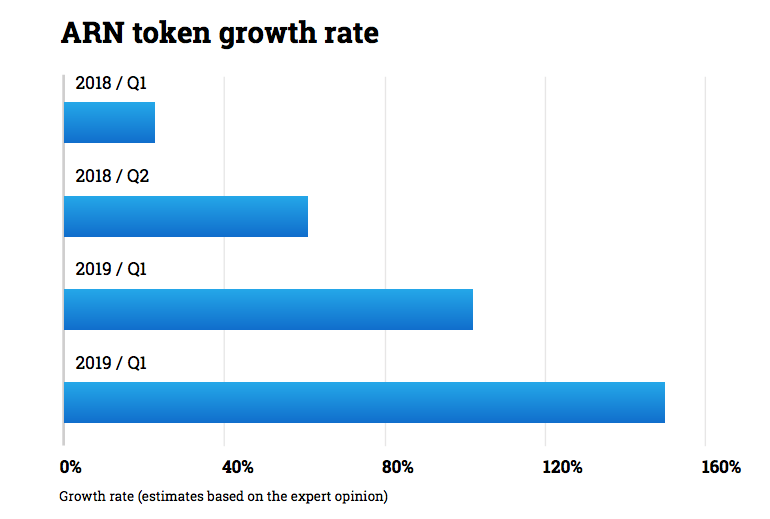 The total supply of ARN will slowly decrease over time, as tokens are taken out of circulation, for example, when someone with ARN loses their private keys, therefore, ARN will be effectively deflationary. Once Aeron receives ARN for services rendered, then a portion of the total amount received is redistributed to Aeron token holders. For Aeron Register write access with signing of log records and validation on the blockchain, Aeron will charge a small transactional fee in ARN. Such tokens paid for writing data to the Aeron Register will be stored in a special rewards smart contract on the Ethereum blockchain. These aggregated amounts of tokens will be paid out to the token holders, proportional to the ARN owned. The rewards contract will generate a token distribution snapshot every month and distribute rewards according to the snapshot. Such snapshot is permanently stored in the blockchain, so anyone can verify that rewards were distributed correctly. The Aeron token contract address will be published at www.aeron.aero. at a current exchange rate at the date of transaction. Bitcoin (“BTC”) and Ether (“ETH”) will be the only methods of payment accepted in the general sale. To obtain Aeron tokens, follow the instructions posted at www.aeron.aero and refer to Q&A available on the Frequently Asked Questions page at www.aeron.aero/faq.html. DO NOT send any ETH from an exchange wallet or from an address for which you do not control the private keys. Although ARN tokens will be allocated and sent to the address from which ETH have originated, if you do not have control of the private keys, then you may not be able to view or transfer the ARN once they are at that address. The token sale will be offered until all 60,000,000 ARN have been distributed. Bonus scheme may be introduced to incentivise the early buyers. The amount of ARN distributed and remaining can be tracked at www.aeron.aero during general sale. 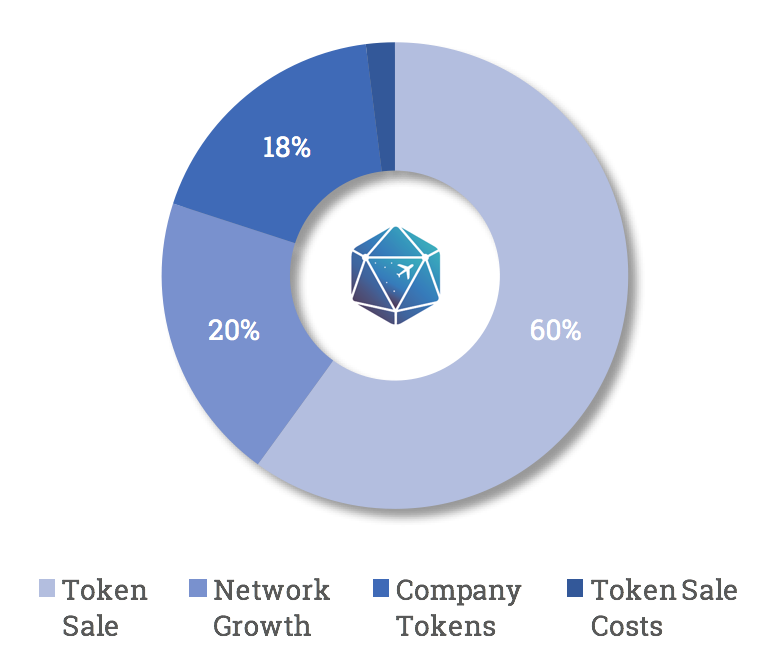 The remaining 40% of the supply (40,000,000 ARN) are not available via the token sale and will be allocated as follows: 20% of the tokens will be distributed over period of time to achieve network growth, particularly offered to potential bulk users of the Aeron Register, so they join the ecosystem and promote Aeron, as well as offered to governments to incentivise them to use the Aeron Register. 18% of the tokens will be allocated to the development team, whose work makes Aeron possible. Remaining 2% of the tokens will be used to cover administrative costs of the token sale. Artem has more than 15 years of experience in telecoms and finance. Ex-CEO of two national cellular operators and a serial entrepreneur in hi-tech industries. A Chartered Financial Analyst (CFA) charterholder since 2009. Nadezhda is an aircraft operation and air traffic management engineer with over 11 years of experience, specializing in full cycle of production aeronautical databases, flight crew training programs, flight simulators and computer based training development. EASA PPL(A) holder since 2013. Konstantin has 14 years of experience in consulting, market research and financial businesses. Master of Science in Banking and Finance. A passionate small aviation enthusiast and Co-founder of aerotrips.com, EASA certified Private Pilot. Ruslan is building scalable IT projects for over 16 years. CEO of INXY, a hosting and business intelligence company. With deep understanding of crowdfunding and technology, Ruslan is focused on creation of convenient and multifunctional producs. Ali started as NSA contractor in Titan Corps military ops division. Continued carrer as UN and military logistics agent and entrepreneur, with over 12 years experience in logistics management and finance. Aviation enthusiast, EASA PPL(A) holder since 2011. Dmitri is a long term resident of China. Fluent in Mandarin, founder of several language schools and ex-CEO of Water Energy, a new energy startup in Xiamen. Crypto analyst and investor, supporting projects like TenX, IOTA, LBC and Steem. 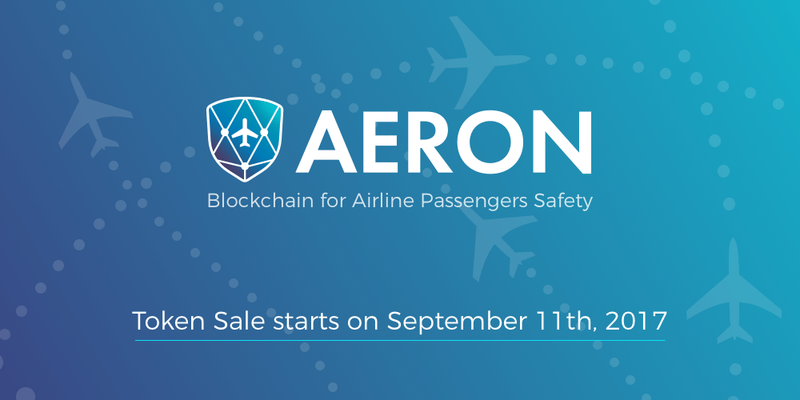 The team of Aeron, a blockchain aviation safety solution, is thrilled to announce that their Token Sale will start on Monday, September 11th, 2017. Aeron has been building a decentralized global aviation database accessible by online portal or mobile application. This project’s goal is to bring transparency and safety to international aviation. All the important information such as aircraft maintenance logs, pilot flight hours, pilot licensing and more will be readily accessible. 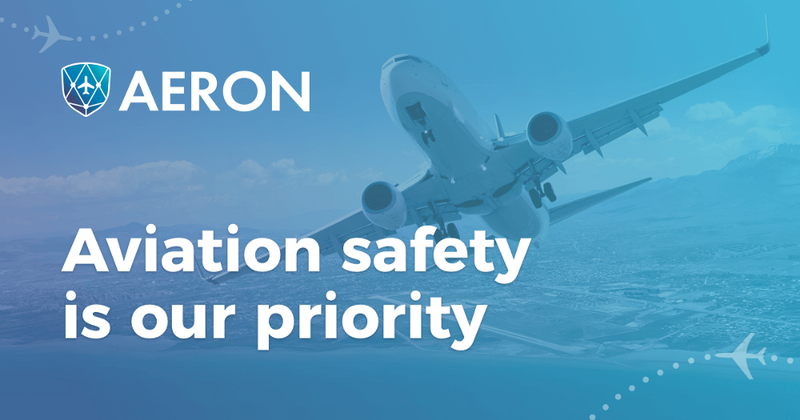 Aeron will bring data integrity into the aviation sphere to drastically increase safety for passengers. To learn more about the Aeron project please read the whitepaper here. Investors are welcome to join the project and purchase Aeron (ARN) tokens for BTC or ETH on aeron.aero. The sale will last until October 15th, 2017, or until the maximum amount of funds is raised. Aeron team is proud to present you the new and shiny website! Our design team worked very hard and we are very happy with the result. The new site does a great job explaining the idea that is behind Aeron project and all the important details you need to know to participate in our Token Sale. Please visit the website and enjoy! Dear supporters! We’re here with the latest news from Aeron project. Today, September 21st, we’ve significantly updated out Whitepaper. Now it contains even more details about Aeron’s business model, current Token Sale and ARN Token. Please proceed with the link to take a look at this important update! Aeron is getting more and more attention on blockchain media and inside the crypto community. We’re pleased to see our project highlighted on ICOAlert, a trusted ICO Discovery platform. You can read their full report here. Our Token Sale is going on, and you should not wait too long to invest with us! Catch those early supporters’ bonuses while they are available. This week’s bonus is 25%! As promised before we announce yet another listing of ARN tokens. It is secured to appear at HitBTC exchange. Please read the official announcement in the exchange blog. Aeron will ensure the immutability of stored aviation data, as blockchain is a transparent environment where everything can be traced and proven, but can’t be altered. Additional protection of data will be ensured by multi-signature authentication system. Thus, any possibility of fraud, censorship or loss of the essential records would be excluded, minimizing the risk of accidents. The ecosystem will consist of 3 key products: pilot app, the web portal and the aviation company app. The pilot would keep record of the flight hours in the personal app, while the companies would use the application to enter the logs from flight schools, aircraft operators and other sources. The web portal would serve as a convenient database interface for passengers, flight school students and general public interested in aviation. If any irregularity or mistake happens, it can be quickly detected and resolved by competent authorities. You still have time to participate in our Token Sale, invest in a good cause and receive some extra tokens! The Token sale finishes on October 30th.